2.3 million Americans age 40 and older have glaucoma. 22 million Americans age 40 and older have cataracts. More than 2 million Americans age 50 and older have age related macular degeneration. 4.4 million Americans age 40 and older have diabetic retinopathy. As we age our vision efficiency tends to decrease, causing various visual health issues. It is true that eyeglasses bring some improved vision and relief from pain and discomfort, but at best, they are limited for improving vision. Natural vitamins, minerals, and herbal ingredients are sometimes extremely supportive for healthy eye function. Astaxanthin... is a powerful antioxidant with broad health implications and unlike other antioxidants, such as beta carotene, zeaxanthin, vitamin E, C, D and selenium, astaxanthin never becomes pro-oxidant in the body. Well-designed clinical trials have shown that astaxanthin helps diabetic retinopathy, macular degeneration, eye strain and fatigue and seeing in fine detail. There are well-designed positive human clinical trials supporting eye health. Curcumin… is rich in antioxidants that can fight free radicals caused by oxidative stress. 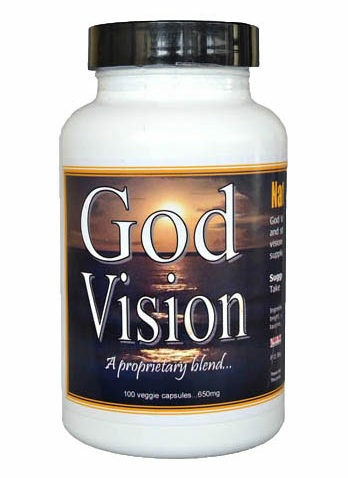 This is said to benefit those with eye disorders like glaucoma and macular degeneration. Vitamin D3…research from the Institute of Ophthalmology at University College London revealed striking eye benefits from vitamin D3 supplementation in older mice and may very well help age-related macular degeneration (AMD), which is the most common cause of blindness in the elderly. AMD is associated with both amyloid beta accumulation and inflammation, and vitamin D3 supplementation appears to benefit both of these conditions. Gingko Biloba… the flavonoids found in ginkgo may help reduce some problems with the retina, the back part of the eye. Macular degeneration, often called age-related macular degeneration or AMD, is an eye disease that affects the retina. The number one cause of blindness in the Unites States, AMD is a degenerative eye disease that gets worse as time goes on. Some studies suggest that ginkgo may help preserve vision in those with AMD. Bilberry…the fruit has shown benefits fighting toxicity, containing powerful health nutrients, and may have other benefits for the eyes. Bilberries’ anthocyanins are known to help strengthen capillaries and tiny blood vessels. Keeping the walls of these vessels strong ensures good blood flow throughout the body, including the eyes and brain. Bilberry may be better suited to help with cataracts and macular degeneration. Animal research has shown that it may block the effects of aging in the eyes. Camu Camu…there’s no food on the planet with a higher concentration of vitamin C than the camu berry. Camu Camu provides 50 times more vitamin C than an orange (on an ounce-for-ounce basis). One of the most important nutritional components for eye health is vitamin C, which is why the camu berry has turned out to be such a fantastic protector of eye health. Grapeseed Extract… the University of Maryland Medical Center reports, night vision may improve with grape seed extract supplementation. A study published in the April 2012 issue “Current Eye Research” found that antioxidants in grape seeds protect cells in the retina, which are responsible for your ability to distinguish colors and to see in low-light conditions. Proanthocyanins in grape seed extract may help or slow the development of macular degeneration, a condition involving loss of the central field of vision, according to medicinal chemistry lecture notes from the University of Washington. Dr. Theresa Graedon. Taurine… as we age, the macula commonly degenerates as rods and cones die, which can result in blindness. Taurine is believed to enhance the rods and cones—the pigmented epithelial cells in the retina of the eye that serve as visual receptor cells. Lutein…may reduce your risk for macular degeneration and cataracts. Studies published in American Journal of Epidemiology, Ophthalmology and Archives of Ophthalmology found higher levels of lutein and zeaxanthin in the diet are associated with a lower incidence of AMD.